What is UK Property Crowdfunding ? 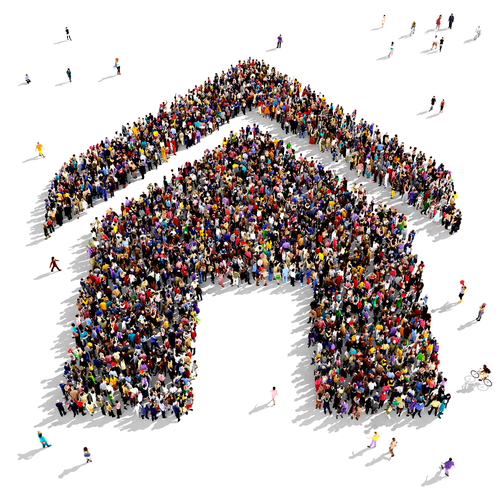 Crowdfunding Property – what is it and how can it help you access great investments? At its simplest, crowdfunding is the use of small amounts of capital from a large number of individuals, which combined make a significant sum, and thereby enabling the investors to access opportunities they wouldn’t otherwise be able to access. The same concept applies to property crowdfunding – a group of people put up the money to invest in a property opportunity. Given the cumulative power of these combined sums, individuals who would normally be unable to consider property investment on their own have the ability to take a small stake in an opportunity which would normally be out of their grasp, and thereby reap the rewards. Property crowdfunding is giving people access to property investment opportunities which they previously were unable to access. With property crowdfunding when a property makes any form of profit – through rent, market increase or property improvement its eventual sale or ‘exit’ proceeds are shared proportionally between the various investors. This means there are two potential forms of financial reward, income and capital growth. Since 2008, ever more investors have found themselves struggling to establish themselves on the property ladder, and buy investment property. The desire to own property in the UK remains strong; it is a far more tangible asset than stocks or shares and offer, bar extreme financial volatility, greater investor security. Allied to this has been the increasing maturity of the internet and technology which is now driving the popularity of crowdfunding. Compared with older offline property funds, modern online investment platforms, such as Brickowner, offer a level of transparency often found lacking and the internet itself allows the individual investor access to multiple sources of data to present performance and trends. One of the lingering themes from the financial crash is a widespread distrust of “investment experts” who operate ‘behind closed doors’. Rapid growth in transparent crowdfunding investment platforms passes this power back to the individual investor. With property crowdfunding, the investor decides what to invest in and how much to invest. What about financial expertise? Investment platforms such as Brickowner still offer the benefit of market knowledge. Providing unambiguous information that can be monitored. Properties are sourced using the expertise of our property partners. Experience and market intelligence can also result in opportunities to invest that may not be available otherwise. Another area where property crowdfunding is having great effect is social investment – allowing communities to invest in what matters to them, such as village shops, pubs and community halls. The rise of these websites also benefits tenants – increasingly properties will be managed by professional management companies answerable to their renter/investors rather than amateur buy-to-let landlords. Property crowdfunding allows you to drip feed money into the market over a period of time – allowing any peaks or troughs in the property cycle to be evened out. Importantly, it allows you to diversify across geographical areas and residential or commercial investments – providing greater diversity and an increased likelihood of uninterrupted fixed income (should that be the focal reason for the investment) or growth. A diverse portfolio might take in private rental, student accommodation and business rental in across the UK. As well as allowing you to benefit from shorter term income, property crowdfunding allows you invest long term – by the re-investment of earnt income in further properties. Brickowner helps people achieve life goals quicker and more efficiently by allowing them to invest in property for income and capital growth in a flexible and diversified manner.